IT Security requires a proactive approach to the latest threats that can impact an organization. As security professionals, we have several options available to us to keep up on the latest security threats that will impact an organization. The security threats and impacts to an organization can be world-wide and these threats know no boundaries. 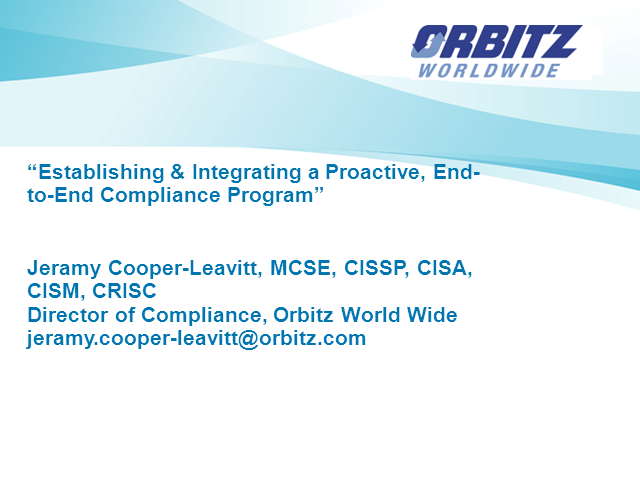 Compliance impacts are also evolving. We have seen since the growth of the internet, that many countries, U.S. States, Industries, etc. are now developing their own rules that impact how IT governance should be administered in organizations. If security and compliance organizations do not stay on top of these developing compliance trends, the impact of compliance changes can have a negative effect. A proactive approach to compliance is required along with some help from your legal department! After all, compliance "threats" know no boundaries!